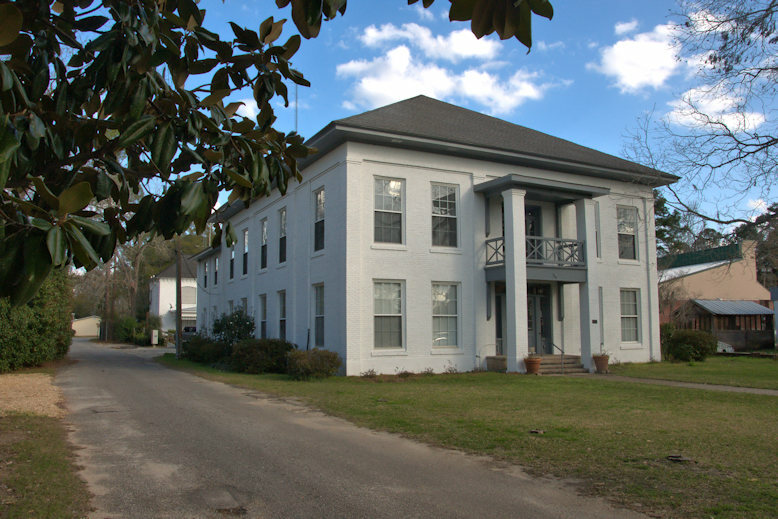 Begun in 1871, Clay County’s vernacular courthouse is the oldest in the Pataula Judicial Circuit and one of the oldest in South Georgia. My Dad Edward Crozier was born in Ft Gaines, I was born in Cuthbert, moved to Mobile Alabama when I was 6 years old! This picture always reminds me of my Daddy and Grandfather. Both were Sheriff’s of Clay Co. and even tho’ the jail is behind the Court House, their offices were always in the Court House rather than the jail. Each time I go “home” , I feel I have to at least drive by and say ‘Hi’… In fact, my brother was born in the jail and loved telling all his friends, that he was “Born in the Clay Co. jail”. Have enjoyed all the pictures. I bet he has always gotten some laughs from that story! Thanks for sharing! I am an attorney with Georgia Legal Services Program and I still remember my first visit to court there from Albany. I did not readily identify this building as the courthouse. I had to go next door at the convenience store to ask. It reminds me of an warm old house where I would not mind living. Just found your archives of Ft. Gaines…WONDERFUL!!! If you ever get back into the area see if you can find New Hope AME Church & cemetery…one of the oldest black churches in Clay County. All of my wife’s maternal ancestors were slaves/ sharecroppers in the vicinity and are buried there. I believe it’s about 4-5 miles northwest of Days Crossroads.